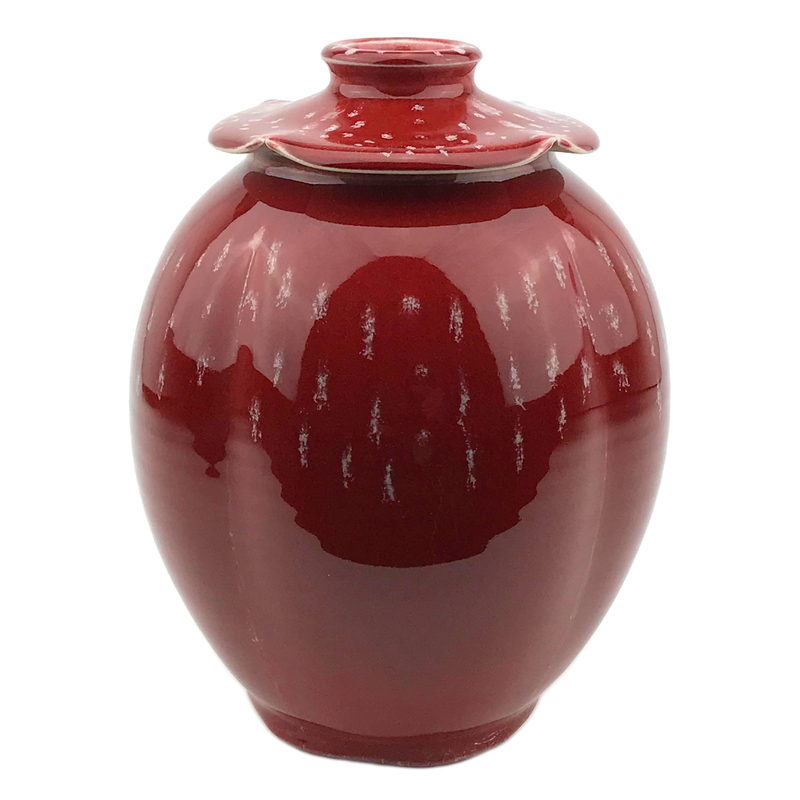 Rich copper red glaze with runny white accents on a thrown an altered jar. 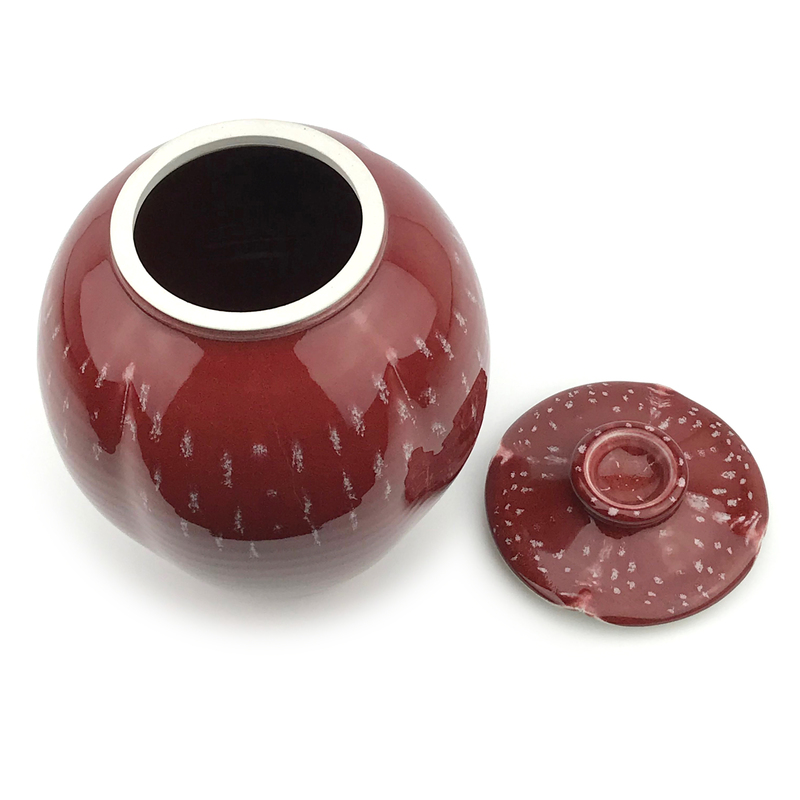 Copper Red Glazes are some of the most difficult glazes to produce and use with control. 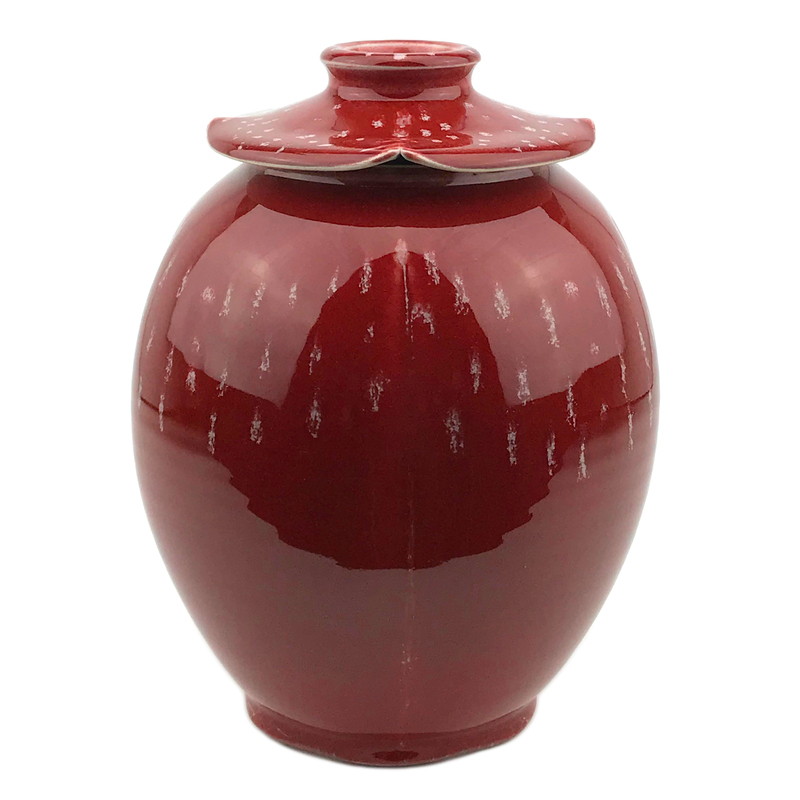 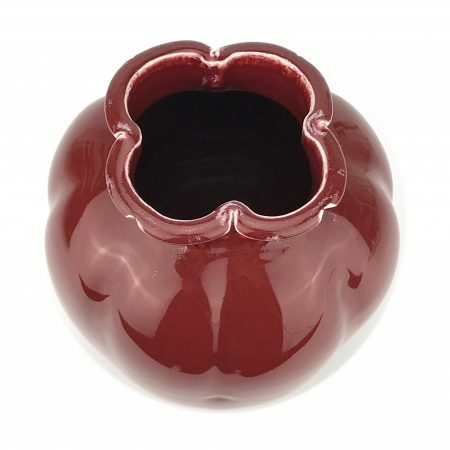 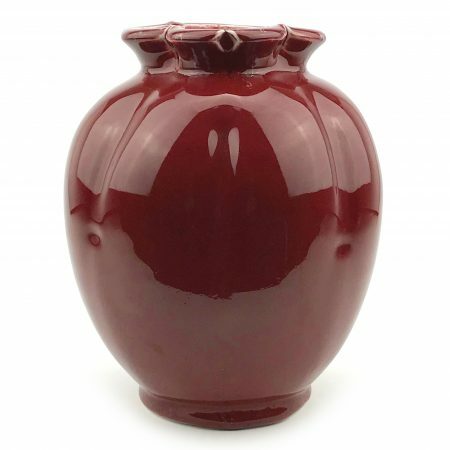 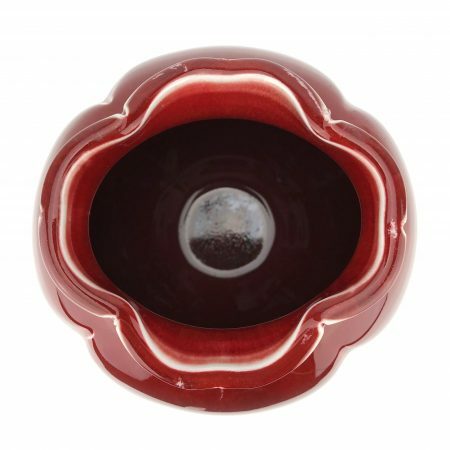 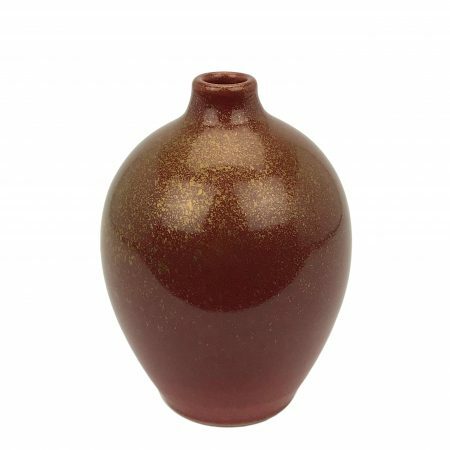 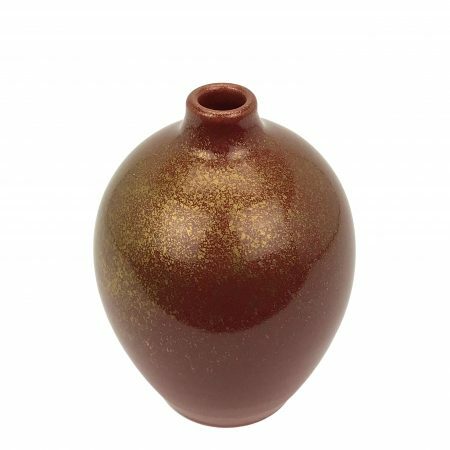 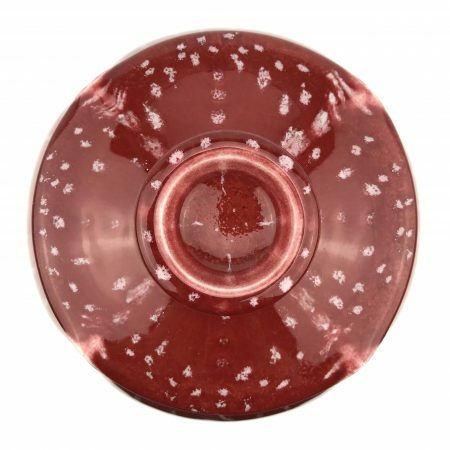 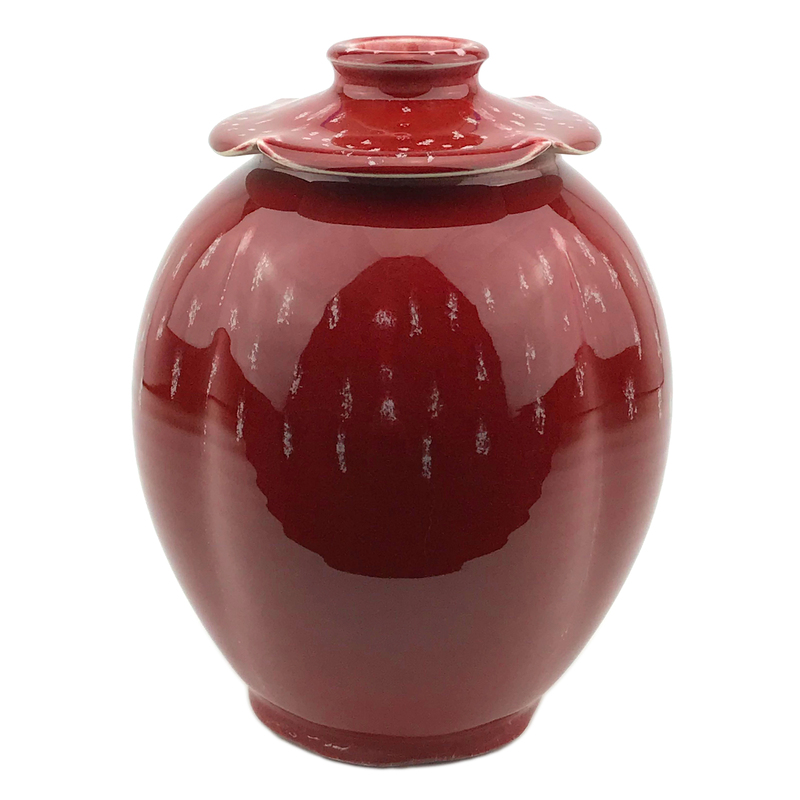 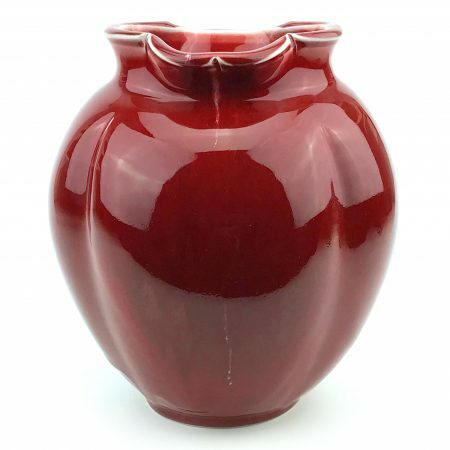 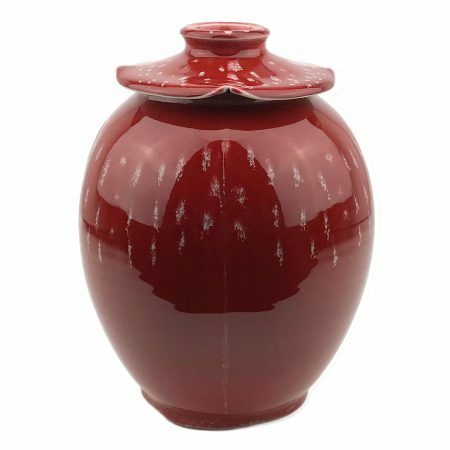 This thrown and altered vase has a wonderfully deep rich red surface with runny white highlights that follow the altered curves of the jar. 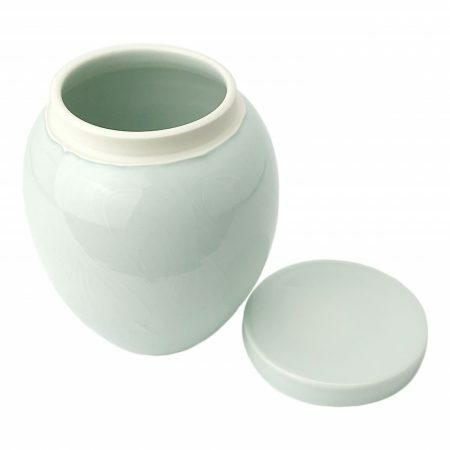 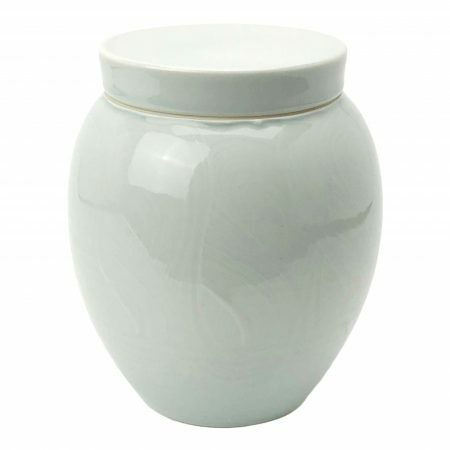 The price has been reduced for this jar because of a small glaze flaw near the mouth of the jar.